BERNARD F. BUNYE, OWNER/Personal Manager, Forte Artist Management- NEW OFFICE! Bernard SIGNED THREE of our AC actors from his first seminars here and brought in several others for interviews. One of them booked a recurring role on HOUSE OF CARDS and a role on BILLIONS. Currently, he is opening up and building his client roster. He's currently looking to meeting trained actors of all ages-all types-all ethnicities (18+). In 2007, Bernard F. Bunye began his career in talent management working for manager/producer Lillian LaSalle at Sweet 180 Talent Management and Production. 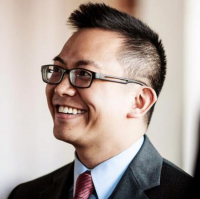 After three years of learning the business from Ms. LaSalle, Bernard co-created Intrepid Talent Management with Jen Namoff. Building on the success of ITM, Bernard launched Brownstone Entertainment Management in January 2012. In August 2016, Bernard closed Brownstone Entertainment Management and joined SirenSong Entertainment to work alongside Donna DeStefano. 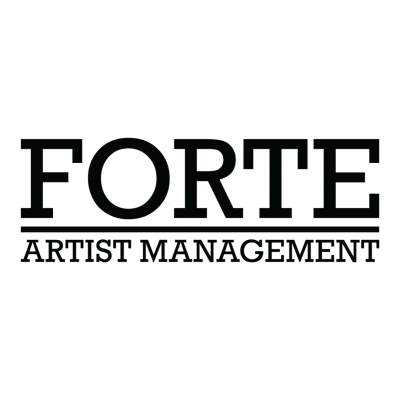 In April 2019, Bernard left SirenSong to open up Forte Artist Management with Aaron J. Sandler. Bernard handles clients for film, TV and theatre. Past client bookings have included Television shows such as: 30 Rock, Alpha House, The Americans, Billions, The Blacklist, Blindspot, Blue Bloods, Bull, Cassandra French's Finishing School for Boys, Chicago Med, Chicago PD, Dietland, The Donors, FBI, Fringe, The Good Fight, The Good Wife, Gossip Girl, High Maintenance, Inside Amy Schumer, Law and Order, Law and Order: SVU, Louie, The Mick, Mindhunter, Mozart in the Jungle, Mr. Robot, The OA, Orange Is The New Black, The Path, Ringside, Royal Pains, Shades of Blue, Succession, Time After Time and Wormwood. Films: Girl Most Likely, Going In Style, Hedgehog, In The Blood, Kelly & Cal, The Mend, Miss Sloane, The Samuel Project and Why Him? and Broadway shows: Betrayal, Gary: A Sequel To Titus Andronicus, Hello, Dolly!, Indecent, Something Rotten! and The Snow Geese. His clients have also worked Off-Broadway with numerous shows at the Atlantic Theatre Company, LCT3, Manhattan Theatre Club, MCC Theater, New York Theatre Workshop, Playwrights Horizons, The Public Theater, Rattlestick Playwrights Theater, Roundabout Underground and Signature Theatre. Regionally, his clients have appeared at Actors Theatre of Louisville, Berkeley Repertory Theatre, Cincinnati Playhouse in the Park, Geffen Playhouse, Guthrie Theater, Hangar Theatre, Huntington Theatre Company, Long Wharf Theatre, McCarter Theatre, The Old Globe and South Coast Repertory.